Part 2, Skills Test with AHA instructor to complete certification process. 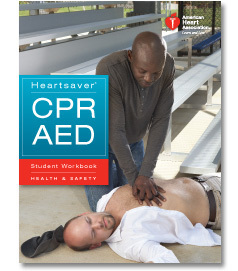 (You are responsible to be able to conduct the skills learned in Part 1 in front of the an American Heart Association Training Instructor). Once the required skills have been completed in Part 2 and marked as satisfactory, your skills test will be forwarded to the AHA to be processed. Your should expect to have your Renewal card with in 14 business days upon completion of the entire course mailed directly to the address you provided on your skills test.